Your body will experience many changes during pregnancy and it is important to stay healthy, comfortable and fit throughout the course of your pregnancy and beyond. Pilates is a gentle, low-impact form of exercise and, when taught by a qualified instructor, considered an excellent best fitness programme for pregnant women. ​A good level of fitness can make a big difference to your delivery and the basic Pilates principles of concentration, steady breathing and control are great skills to build upon in preparation for the birth and on-going care of your baby. In the first trimester, short exercises can help women suffering from nausea and exhaustion to relax both their body and mind. During the second trimester, exercises can be maximised to lay down a good foundation of fitness for the following months. Back pain is common during the third trimester and suitable exercises can help with this. 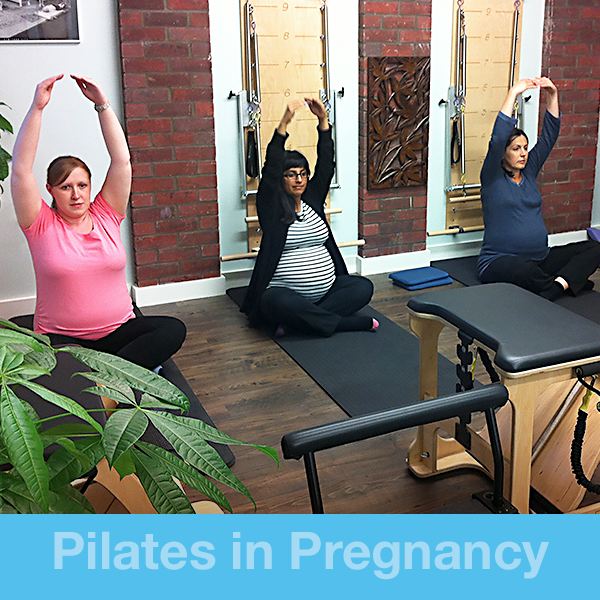 The breathing techniques taught through Pilates can be put to good use during labour. And practicing Pilates throughout your pregnancy can help strengthen both core and pelvic muscles and will improve your posture and circulation.